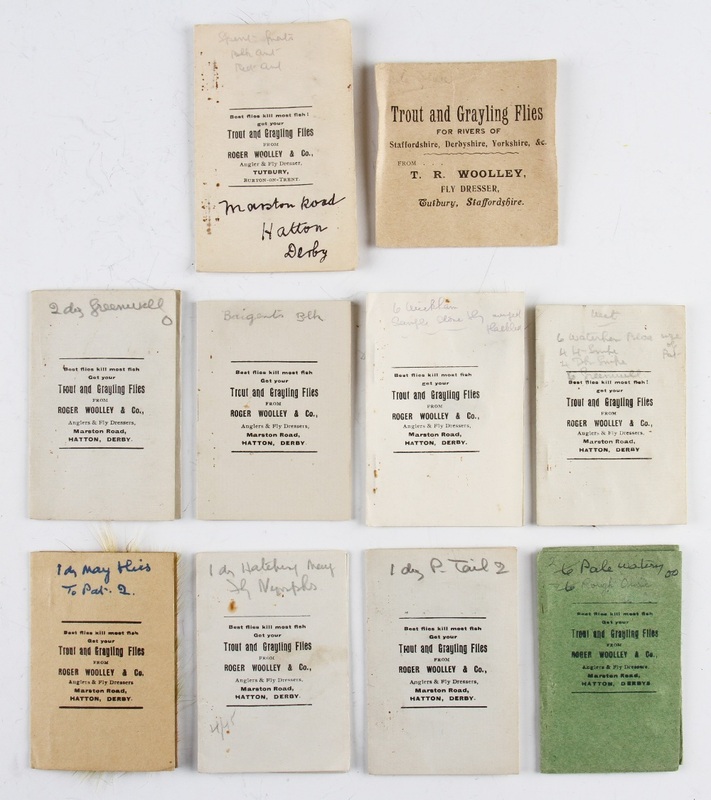 Trout flies: Ten trade card by Roger Woolley, Hatton Derby containing a quantity of trout flies tied to pattern incl. May flies, Greenwell, Stone flies, Pheasant tail etc. 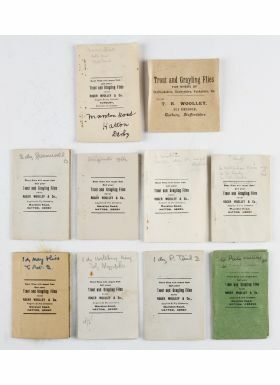 with hand written notes by Woolley on packets.